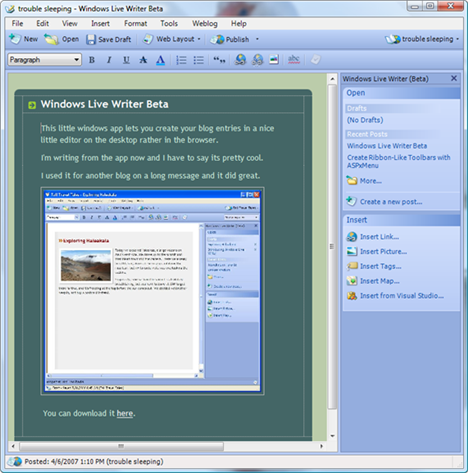 This little windows app lets you create your blog entries in a nice little editor on the desktop rather in the browser. I’m writing from the app now and I have to say its pretty cool. I used it for another blog on a long message and it did great.